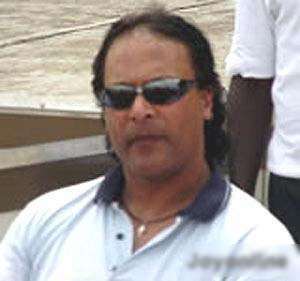 Accra, June 3, GNA - Black Stars coach, Marieno Barreto remains cautious ahead of the team's crucial World Cup qualifier billed against The Stallions of Burkina Faso in Ouagadougo on Saturday June 5. The coach who will be leading the Stars for the first time in a major assignment is only hoping for a favourable result when they meet their West African neighbours. Coach Barreto who will have some of his players racing against time due to injuries says the Stars are at a disadvantage with regard to the number of times the team has trained together. He said though their prime focus on Saturday will centre on picking the relevant point to keep their dream of qualifying from the Group alive, the homesters are favoured for the sort of exposure gained in the last few weeks. The Portuguese Coach told the GNA Sports that "three days is too short a time to do any serious preparation, but we will do our best and play to win". "My emphasis has always been to win and nothing else, we will play to win, because it is the only way we can keep our hopes alive". "I'm not a magician, but only a coach who can only wish for the best. We will try to win, but if we don't, at least we will know we tried", he added. He continued that "I know we will be losing some points along the way, but it must be as minimum as possible and that is why we will go there to fight all afternoon to achieve the needed success". The coach said he was, however, expecting a good show from the Stephen Appiah-led team if the corporation received so far among the players is anything to go by. The last time the two countries met, it was the magic of Isaac Boakye, which ensured a 2-1 victory for Ghana in the 2002 Africa Cup of Nations, which was hosted by Mali.